Maturity can bring wisdom, grace and clarity of voice for the writer. Mature writers come into a place of self-expression that welcomes readers where they are without demanding where they meet. 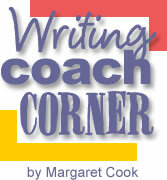 In order to mature as writers, we have to master the basics of good writing. We learn the rules of the trade and practice until the basics are more automatic. Once we are comfortable with generally being able to express ideas and organize thoughts, we revise and strengthen the text to better reflect our voice. The writer of Hebrews (6: 1 – 3) reminds the audience not to continually rehearse the basics of doctrine or salvation, but to grow mature in faith. The maturity allows Christians to become fulfilled in the purpose of life God designed them to live. One of the purposes of our life is to share the story of our faith and the work God is doing in us. Writing our thoughts and experiences is a way God fulfills us and builds our faith and the faith of others. Just as God created us with a purpose, we create our writing (our life story) with a purpose in mind. In order for the purpose to be fulfilled, we can craft phrases and use vocabulary that evokes the reader’s experience in harmony with our own journey. Have I prayerfully considered the purpose of the writing and have I offered to be open to God’s word and direction as I write? Are the foundations of faith (the basics) covered or implied in a way that the truth of the message is present? Have I given a fresh perspective or reflection on basics that help move the reader to new insights or better questions? Does my writing transcend my own experience and embrace others in some way that makes it “us” not me. When I read the work in its entirety, does my voice blend with God’s voice to compel the reader to grow in faith – even beyond basics? Revising writing is a sign of maturity. We edit and refine the product before we send it on for reading and publication. We are mature enough to look carefully in the mirror of our own writing and see the blemishes. We are willing to re-write and seek feedback because it helps us become more aware of how to meet the audience. The editing and feedback help us hear God at work in our own writing as well as what we read. Consider joining or starting a Christian Writers’ group to invite conversation about how to improve your writing. It is great to start with the basics but grow in faith and progress on to maturity as a Christian and as a writer. A mature Christian has the courage to hear feedback and press on toward fulfillment of the purpose that God wants to accomplish through what we write. Copyright © November, 2008 – Margaret Cook. All rights reserved.